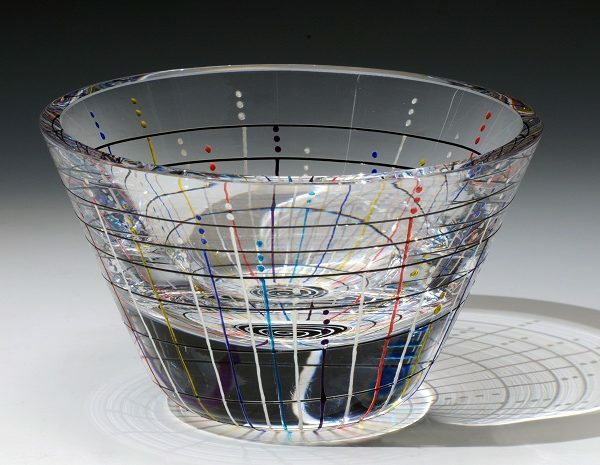 8″ V-shape crystal bowl in a line dot pattern. 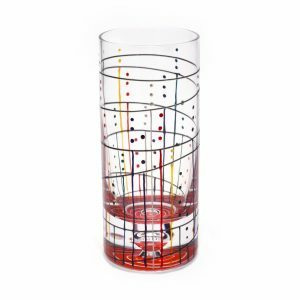 Colors: rainbow Each piece of glass is handpainted in a series of steps, using glass glazes. 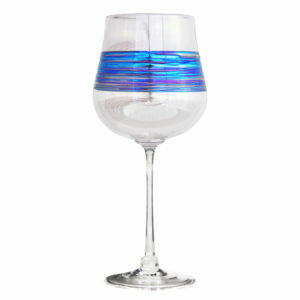 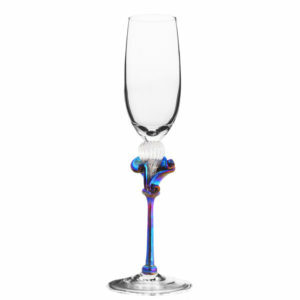 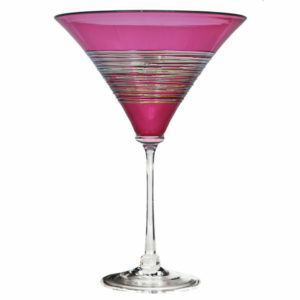 The glass is then fired for function and durability.